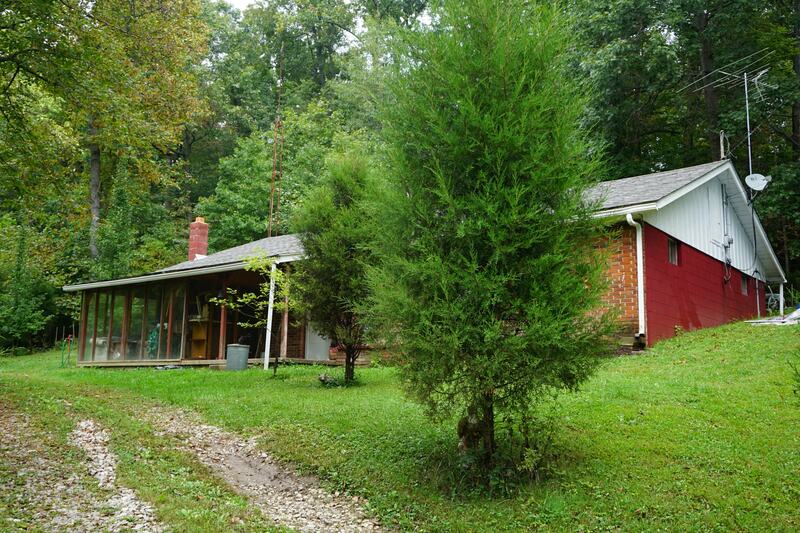 Burdette Home & Contents Auction — Harritt Group, Inc.
Berm 2-bedroom home, weathered shed & galvanized pole barn on 1.5 wooded acres just 4 miles North of St. Rd. 64 in Marengo. Also selling Jeep Grand Cherokee, ATV, canoe, firearms, fishing & hunting items, coins, tools, equipment, collectibles & household items. Spacious 1344 square foot brick & concrete block 2-bedroom berm home, weathered 12’x12’ shed & galvanized 23’x21’ pole barn with 23’x10’ lean-to on 1.5 wooded acres overlooking creek in rural country setting just 4 miles North of St. Rd. 64 in Orange County, IN. Home built in 1973 features living room, equipped eat-in kitchen, office, 2 bedrooms, 1 bath, LP gas heat, enclosed porch and covered porch. 10% non-refundable down payment due day of auction with the signing of a legal binding purchase agreement. The cash balance of the purchase price will be due in 40 days. Real Estate taxes prorated to day of closing. Possession immediate at closing. Selling as is with no contingencies, all inspections welcomed prior to auction. 1997 Jeep Grand Cherokee Laredo 4WD V-6, 100K+ miles. 1972 Smokercraft aluminum square back canoe, Evinrude 4hp lightwin outboard motor. Kawasaki 4WD ATV with winch. Henry Big Boy 44 Magnum lever action rifle, Savage 22 cal. composite rifle, Stevens 12ga shotgun, (3) as-is older shotguns, Spesco 22 cal. six-shot revolver, Hi Point 22 cal Luger pistol & ammo. Large collection of vintage rods, reels, tackle boxes and lures including (2) Penn Senator 114H rods & reels, vintage reels including Louisville 60, Pflueger, Penn, Ambassador, Orvis & Zebco, rods including wood, bamboo, steel & fiberglass, 20+ tackle boxes, hundreds of lures, Eagle Clan salesman sample book, Super Mag Crossbow, Bear & US Spirit compound bows, Coleman camp lanterns, Minnkota trolling motor, minnow bucket, selection of pocket and hunting knives & more hunting related items. (2) Anvils, Century & Campbell Hausfeld stick welders, acetylene sets, Porter Cable chop saw, drill press, floor jacks, Delta table saws, Rockwell bind saw, Buffalo metal band saw, metal detector, large selection of yard, hand & power tools, air conditioning tools, (9) LP gas tanks, corrugated metal roofing, hand tire changer, stainless work table, metal cabinets, clamps, grinders, air tools, 2-cycle oil, weedeater, (6) chainsaws, chains, lumber, scrap, (9) as-is riding mowers plus more contents of barn and shed. Chifferobe, loveseat, marble top table, bed, sofa, TV, new Deluxe electric meat grinder, tables, chairs, lamps, prints, kitchenware, holiday decor and more. I-64 to Georgetown Exit #118. West 27 miles on St. Rd. 64 to right on Main Street, short distance to left on Water Street to right on Valeene Road. 3.7 miles to auction on right. Or 10 miles South of Hwy. 150, 24 miles NW of Corydon or 12 miles SE of Paoli.